We were well and truly snowed in last weekend (still are, pretty much), and we did what most people do when stuck at home with a full refrigerator – we threw a dinner party and baked a cake. To be more accurate, my husband baked, and I took pictures and fussed around on the computer and made milk-braised pork and buttermilk mashed potatoes. 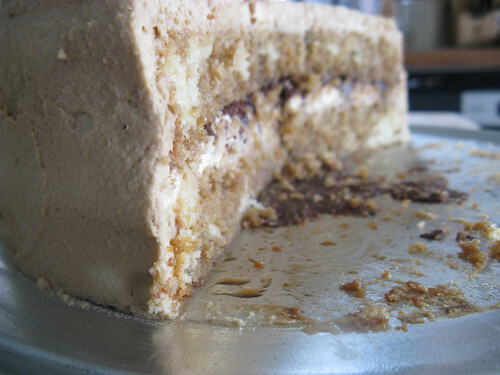 The pork was good, but it was the tiramisu cake that really got the eye-rolling and moaning reactions from our dinner guests. 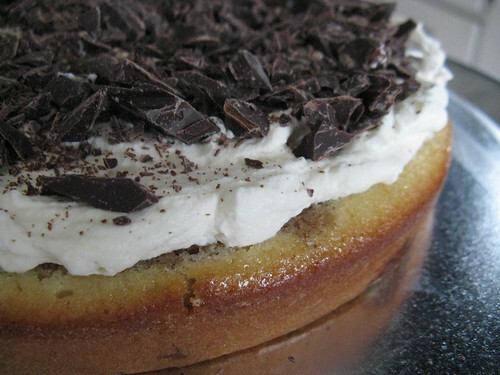 The cake is really just a showier presentation of tiramisu. 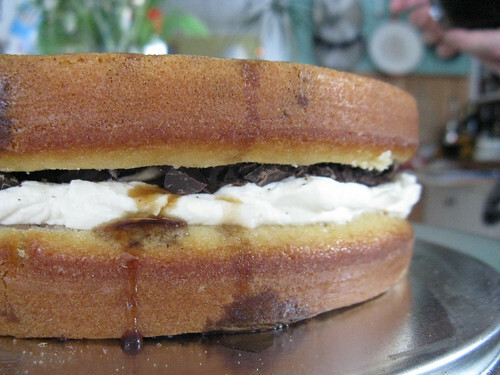 It consisted of two layers of relatively plain sweet vanilla cake, soaked with espresso syrup, sandwiched around a layer of chopped dark chocolate and a swirl of sweetened mascarpone, then frosted with more mascarpone mixed with more of the espresso syrup. It was good. Really, really good. Sweet boozy coffee creamy goodness. The original recipe is from Dorie Greenspan’s Baking From My Home to Yours, but you can get more pictures and the full set of instructions here. 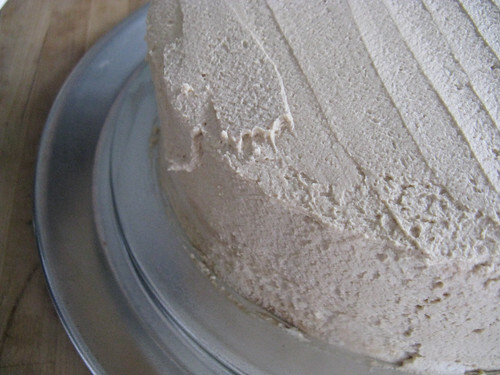 The only things we did differently were to bake the cake in two 8 inch cake pans instead of 9 inch, so the layers were a bit thicker, and to make a bit of extra syrup (although the cake turned out so moist, we didn’t need all of it). And we still have two slices in the fridge. Happy Christmas Eve to us! 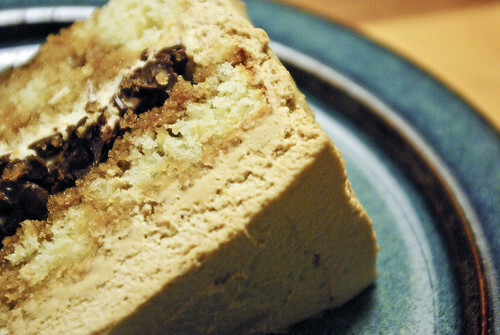 I was *just* searching for a tiramisu cake recipe (I’ve always made tiramisu cheesecakes in the past)…I’m definitely trying this one out. It looks delicious! Not fair, darn cold. Looking forward to seeing you guys tomorrow!